Your Grand Teton National Park tours begins from Gardiner, Montana, and will take you to Jackson Lake, Jenney Lake, Teton Village (Jackson Hole), Mormon Row, Glacial View Turnout, Oxbow Bend Tournout and more. Along the way you may see grizzly bears, elk, moose, buffalo and antelope. So sit back, relax and take in the incredible scenery of Grand Teton Park for a day, traveling at your own speed. 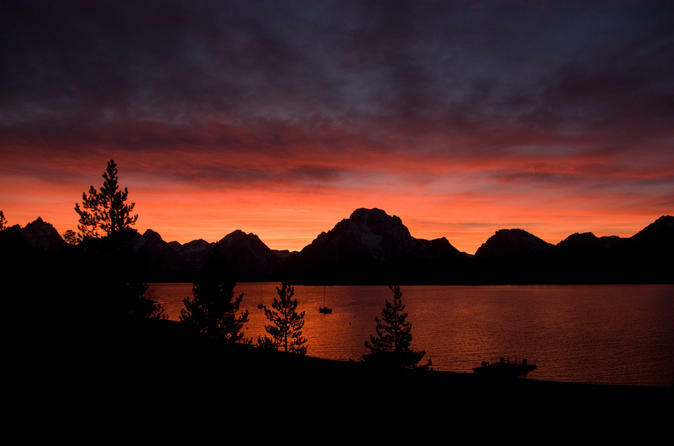 Sunset tour of Grand Teton National Park with dinner at Signal Mountain Lodge on Jackson Lake. 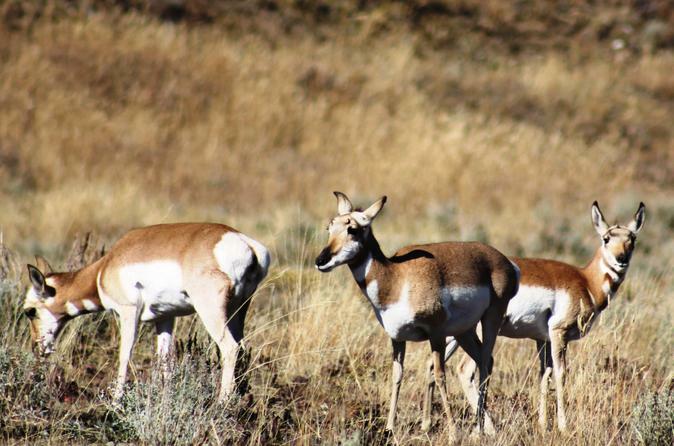 On this tour you will Roam the Antelope Flats in search of bison and antelope. Our experienced guides will share a bit of history at the Shane Cabins and see what early life in Jackson Hole might have been like. Stop for dinner at Signal Mountain Lodge for spectacular views of the Grand Teton Range. Following dinner, head back to Jackson along the wooded Moose-Wilson road, home to the North American Moose. Small groups & private groups are welcomed. 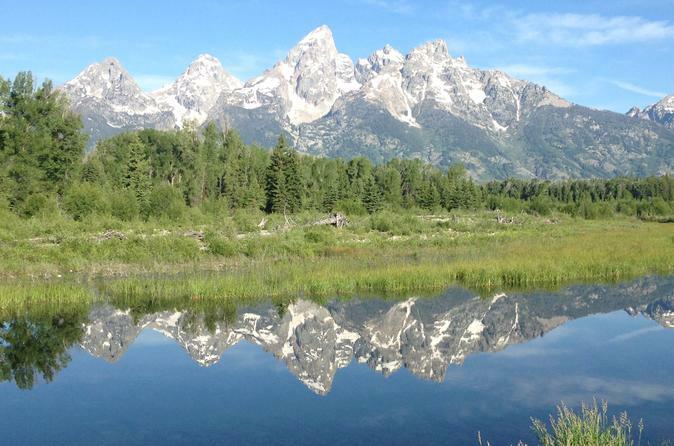 Discover Jackson Hole and the Grand Teton National park during some of the best wildlife viewing hours of the day. On this 4-hour tour during dusk, you will explore the animal hotspots that your professional guides know where to find. Grand Teton National Park Full-Day Tour with a local guide. 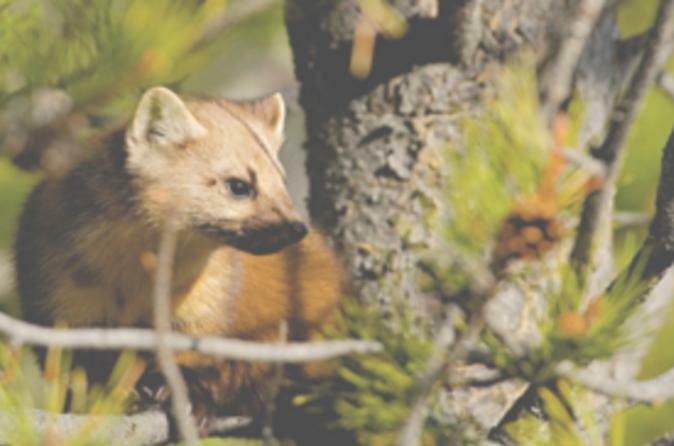 We'll explore the sweet spots of the Park including Jackson and Jenny Lakes, Oxbow Bend, the classic barns on Mormon Row and search for wildlife.